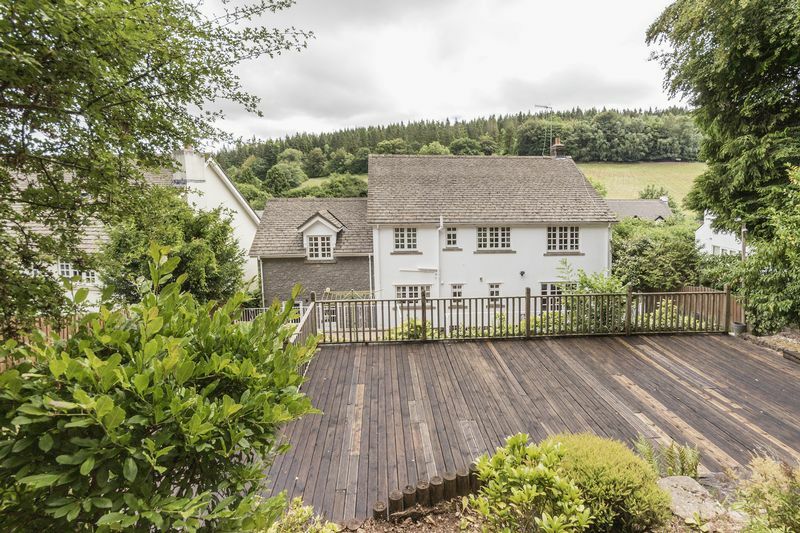 Pinkmove are pleased to present this executive detached, family home located in the picturesque village of Draethen, with views overlooking countryside and woods. 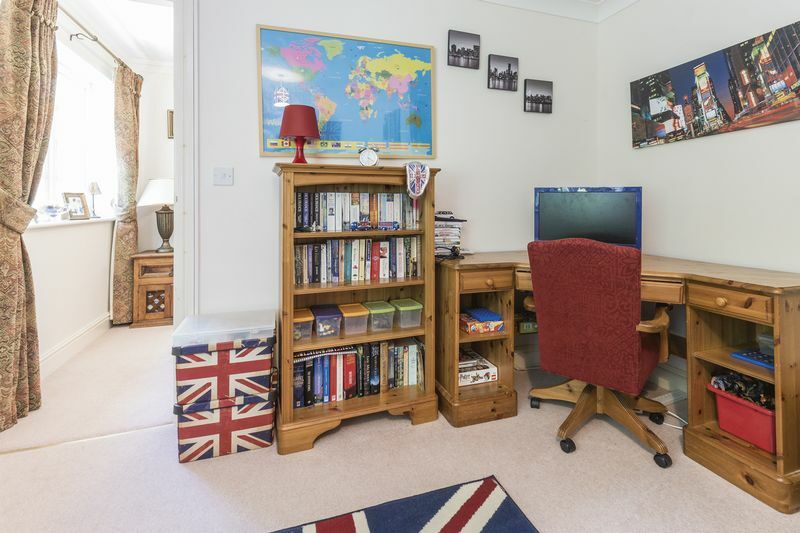 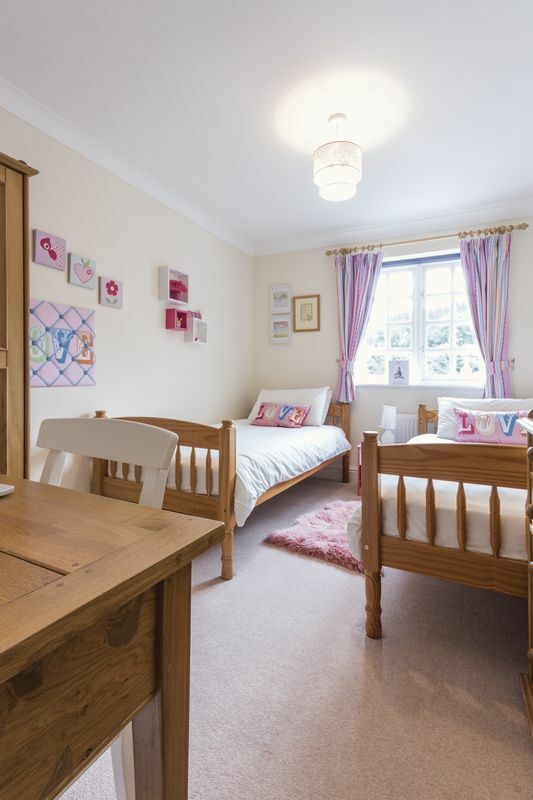 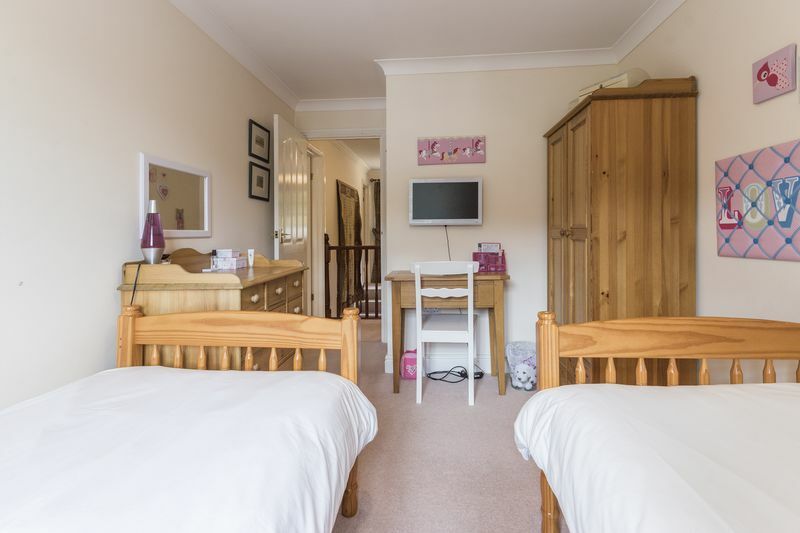 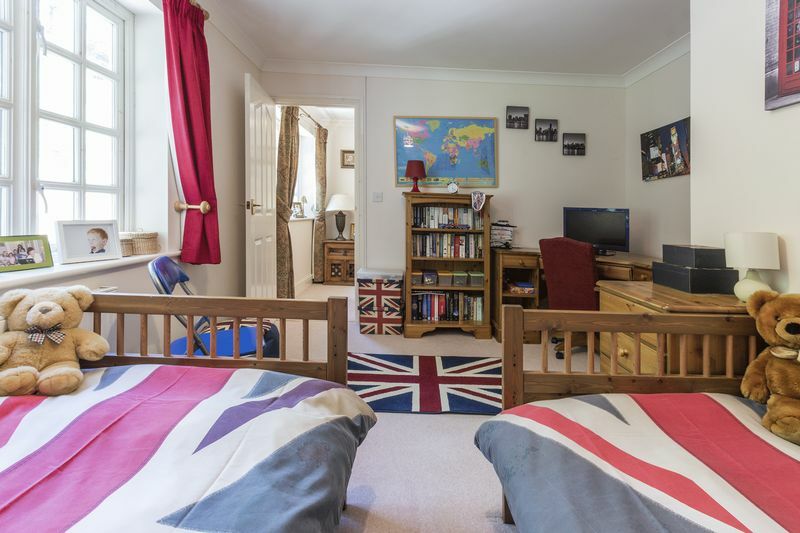 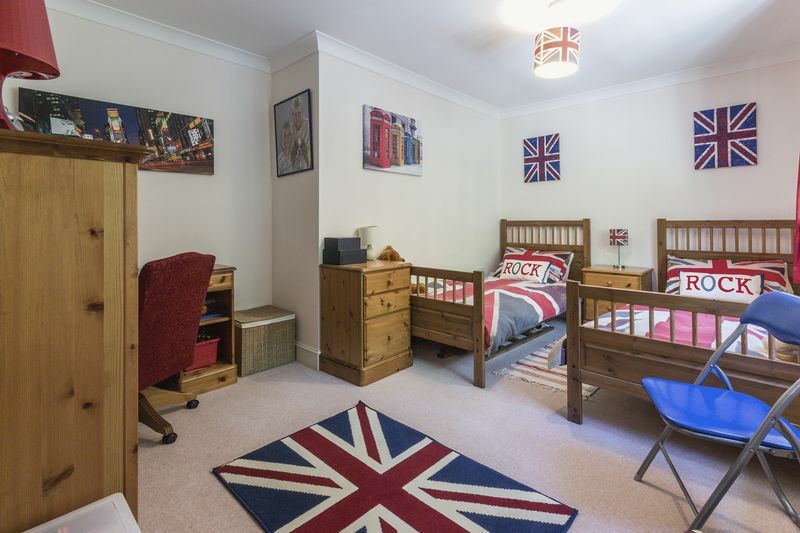 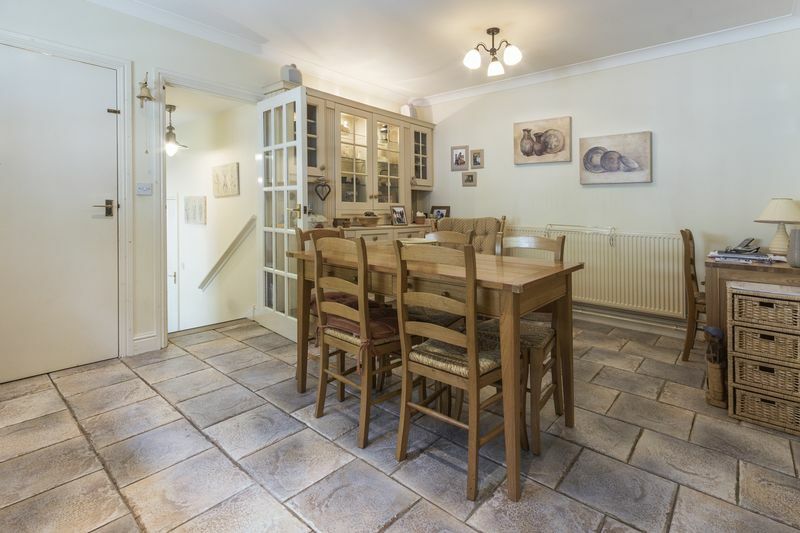 The property benefits from good road links, with easy commutes into Cardiff or Newport, also it is walking distance to a local pub, and has ample walks and cycling routes into the countryside for the entire family to enjoy. 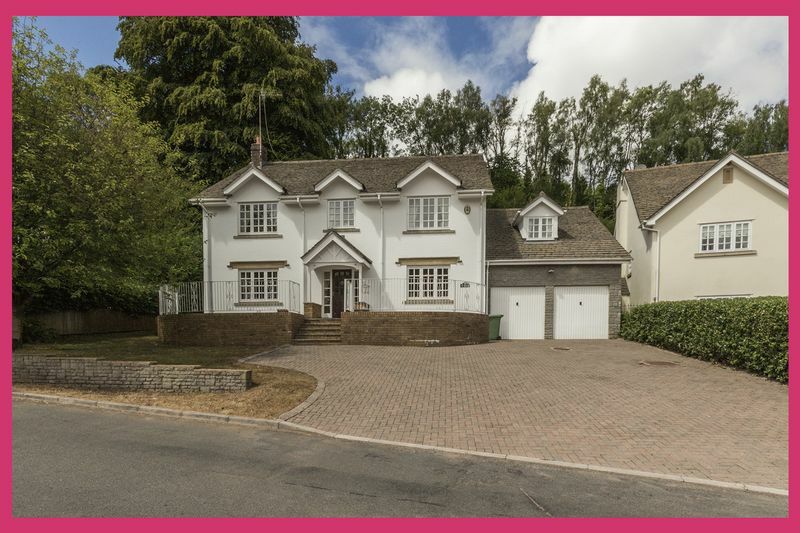 The house itself is set in a large plot, and benefits from a driveway providing off road parking for several cars as well as access into double garage. 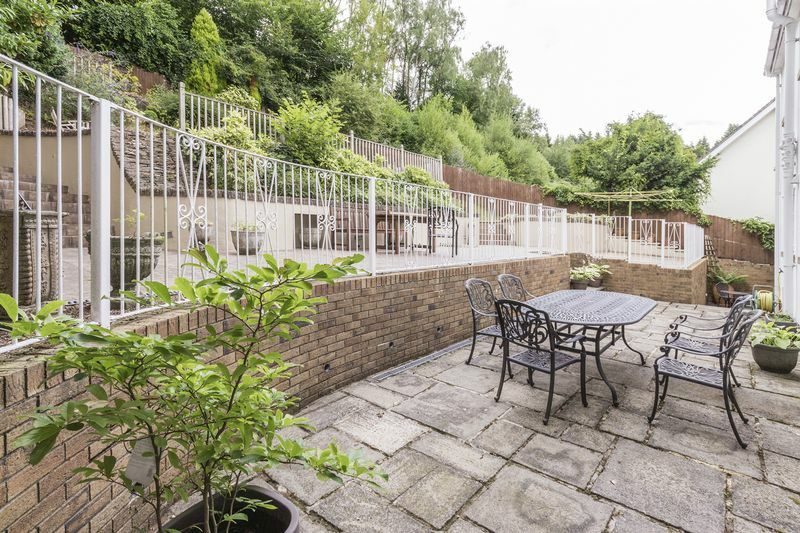 The front garden is mainly lawn with steps up to the front door and gated side access to the rear garden. 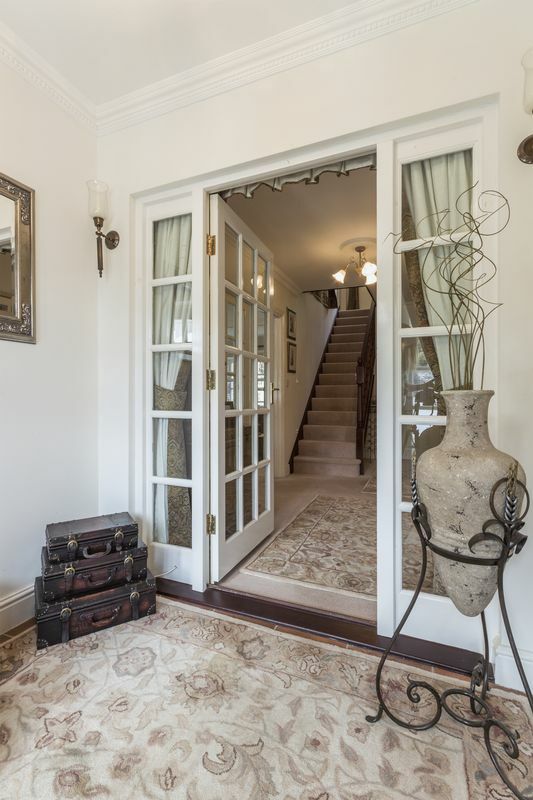 Entering into the house, there is an entrance hall which then opens up into the main hall. 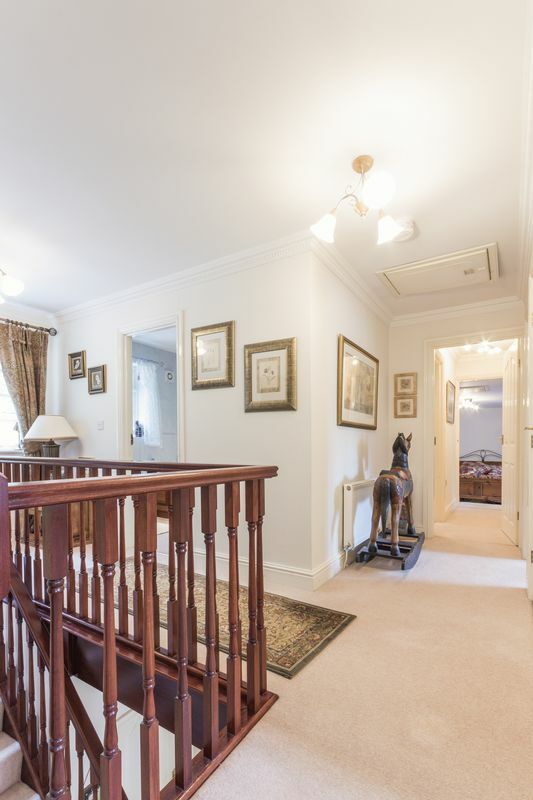 From here all the main principal rooms can be accessed as well as the stairs to the first floor. 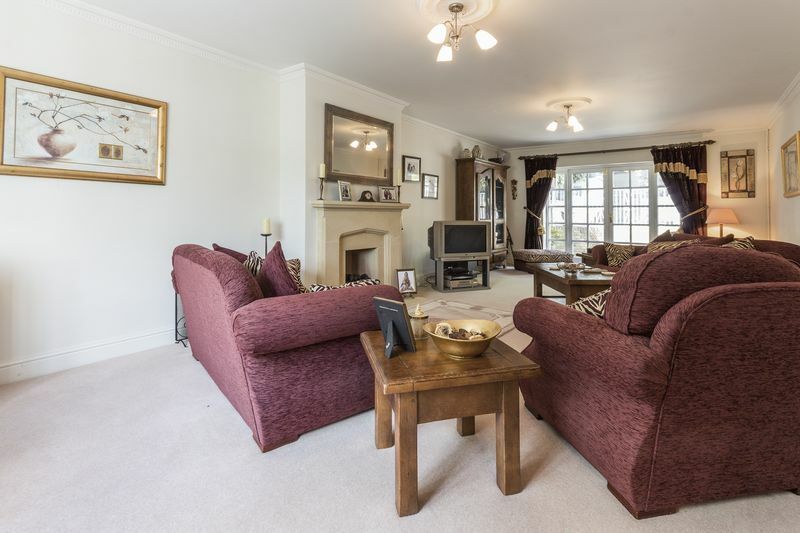 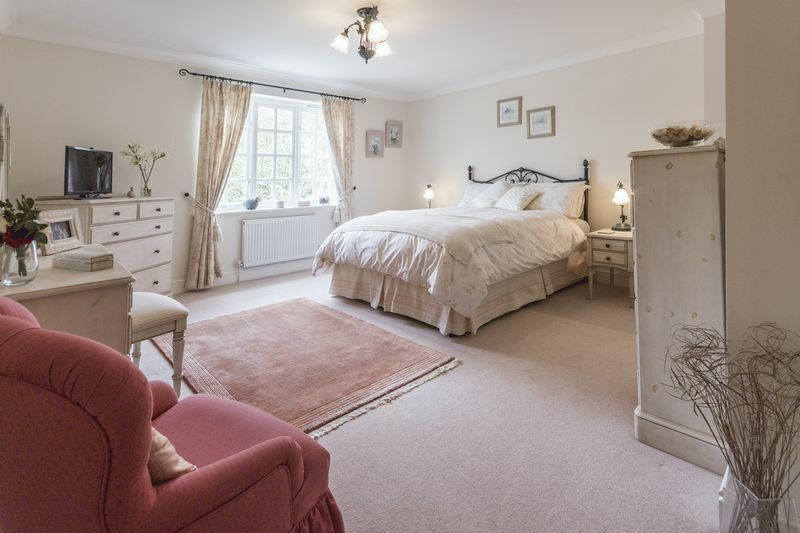 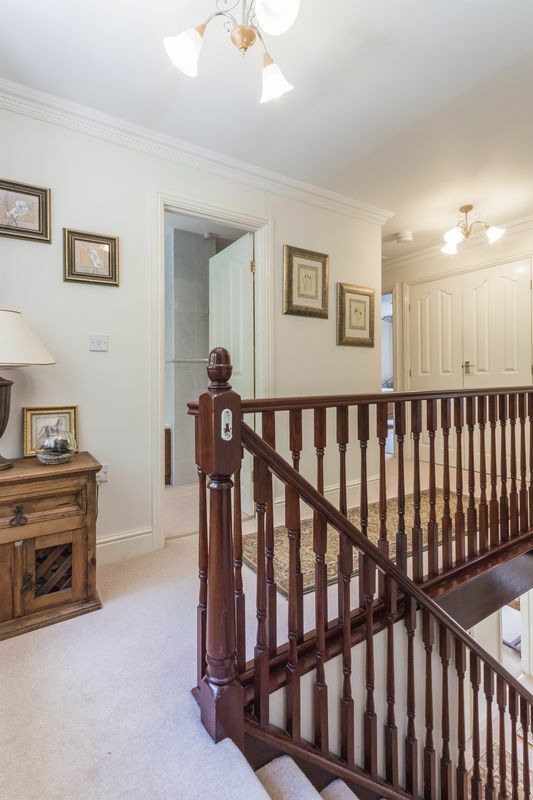 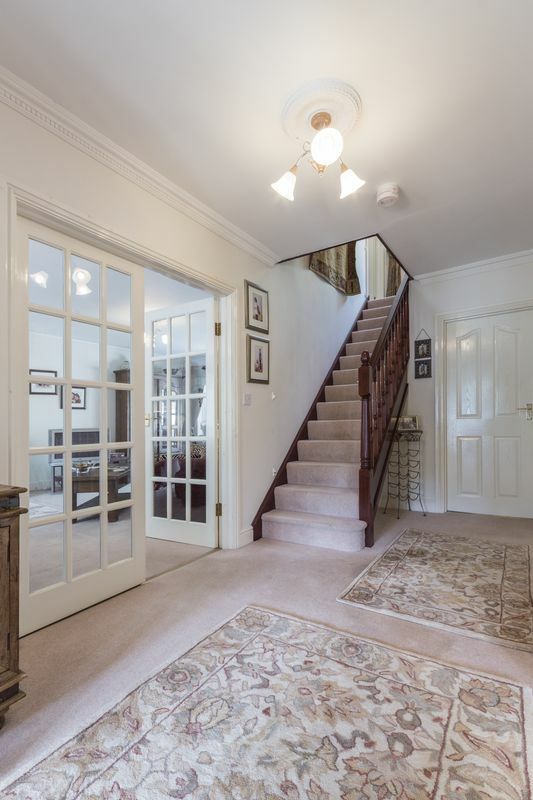 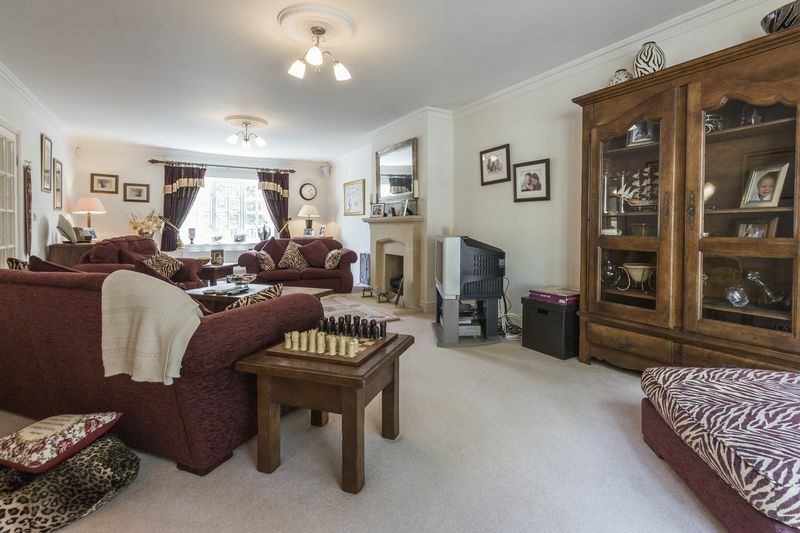 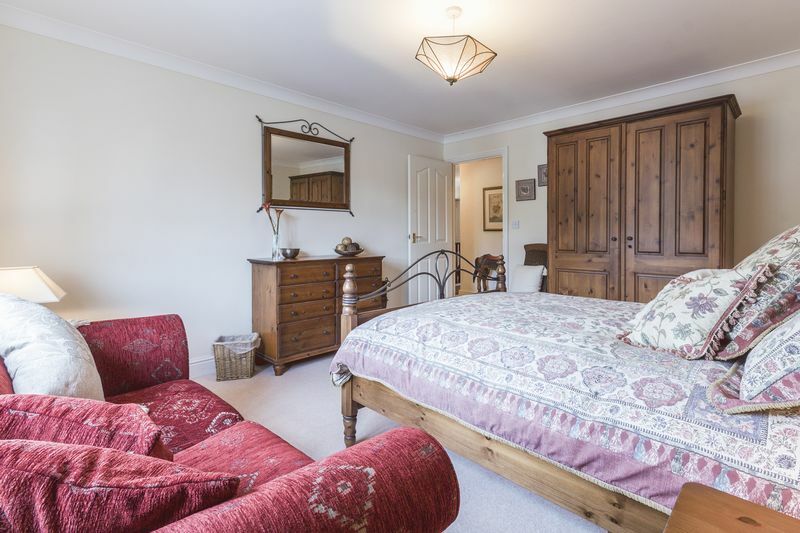 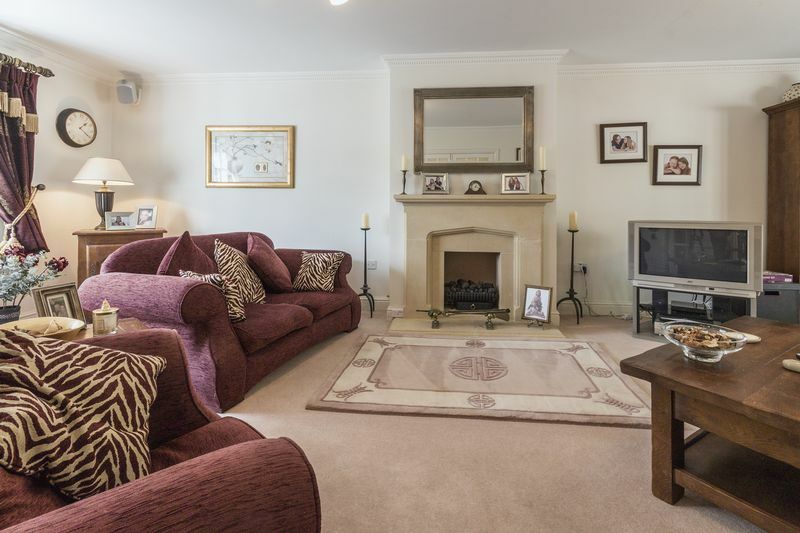 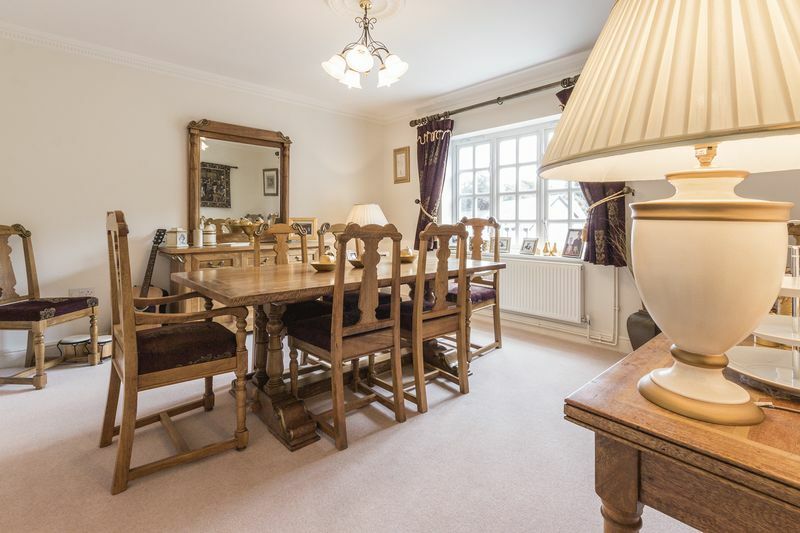 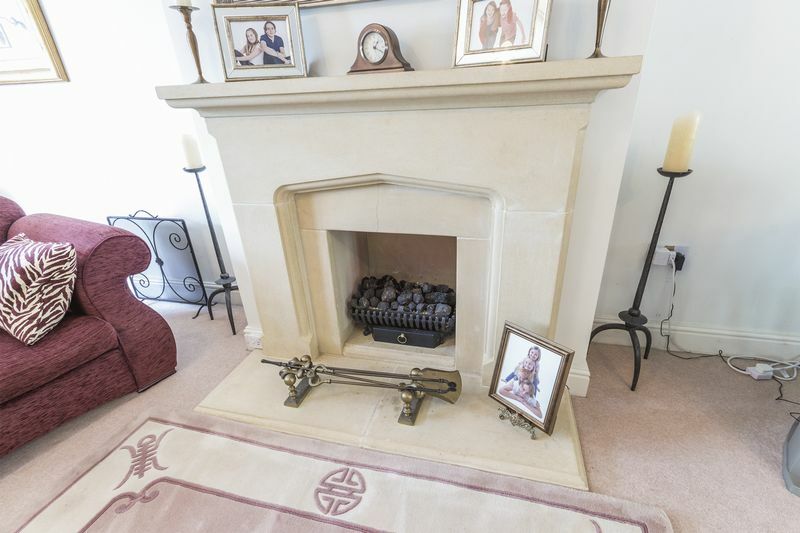 Through double doors is the main living room is a generous sized room and spans the length of the property, it features a real working gas fire, and benefits from French doors opening into the garden, as well as a large window overlooking the front. 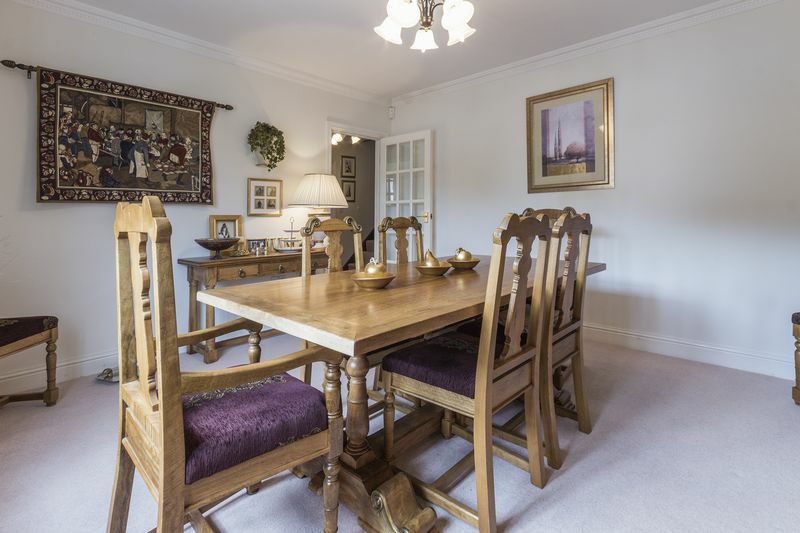 The dining room is located across the hall and is a substantial size, with ample room for a large dining table and chairs. 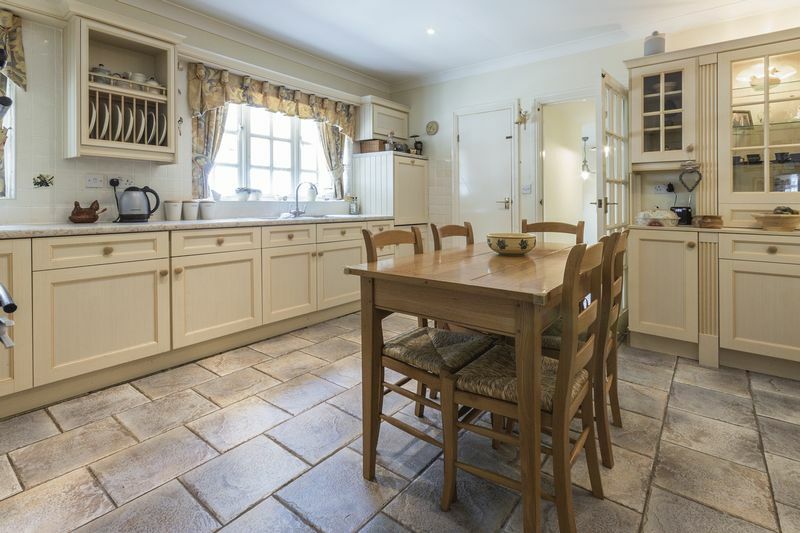 The kitchen is modern with ample wall and floor storage units, with integrated fridge, freezer and dishwasher as well as a large pantry. 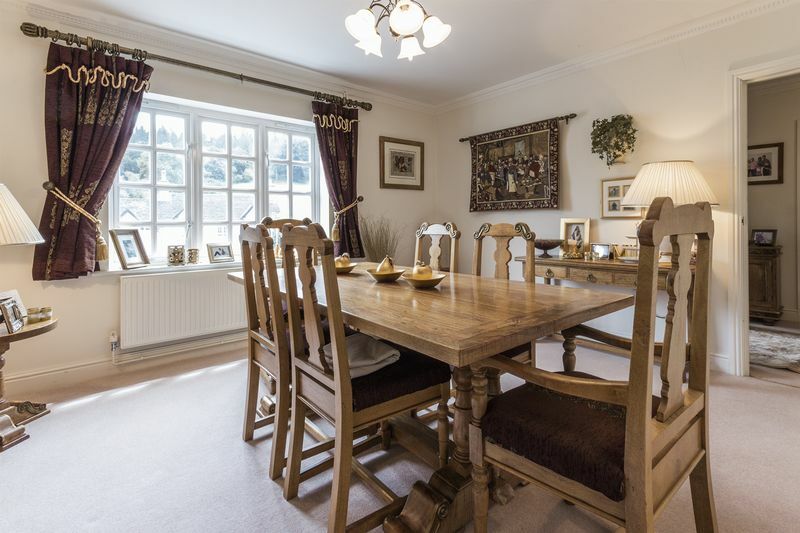 The windows also provide plenty of natural light as well as enjoying views of the garden. 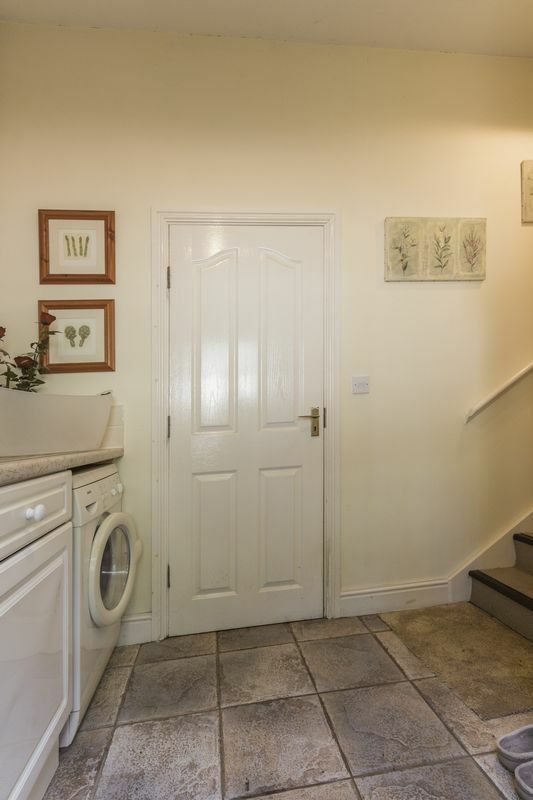 Leading from here is steps down into the utility room, where there is more useful storage and space for freestanding appliances, also the garage and rear garden are accessed from here. 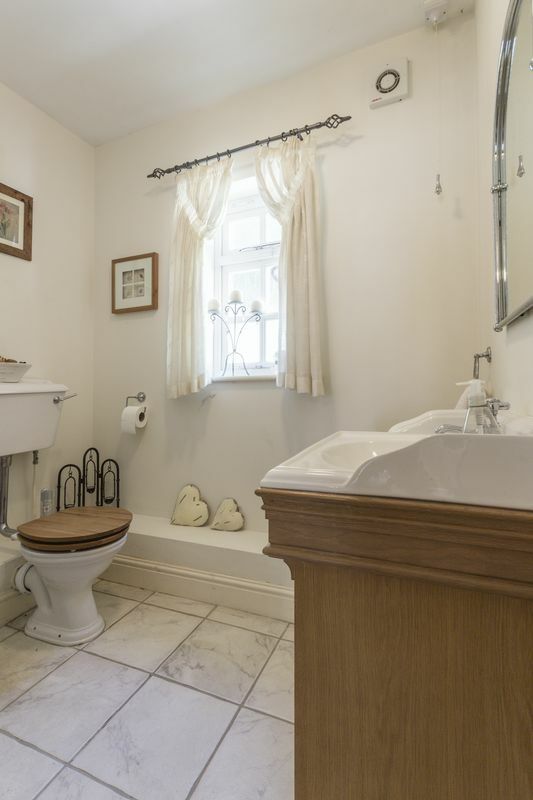 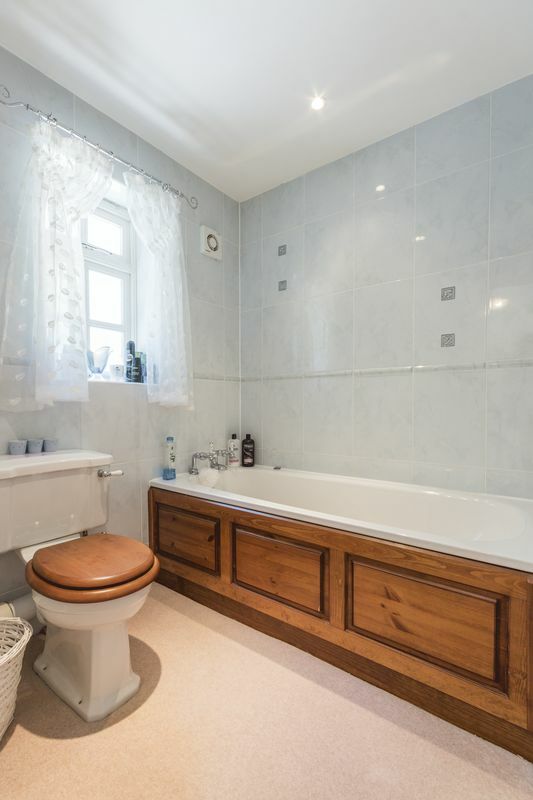 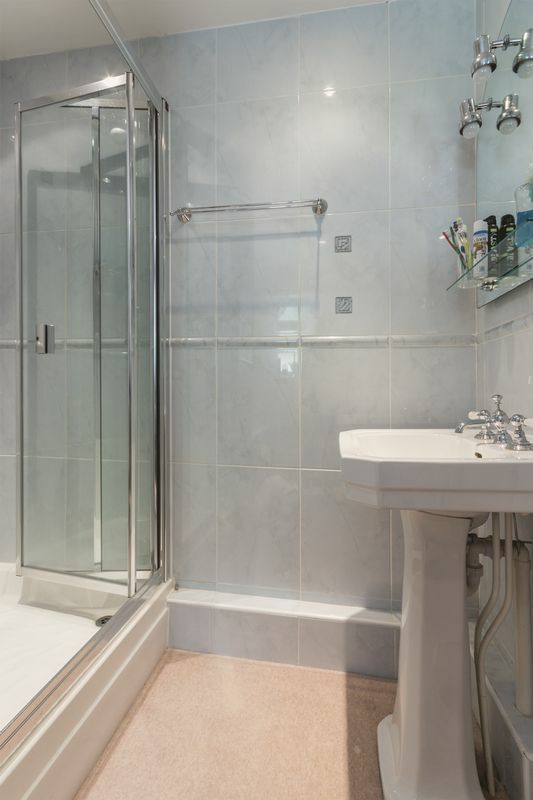 Downstairs there is also a large useful cloakroom, which comprises of a W.C, sink with built in vanity unit. 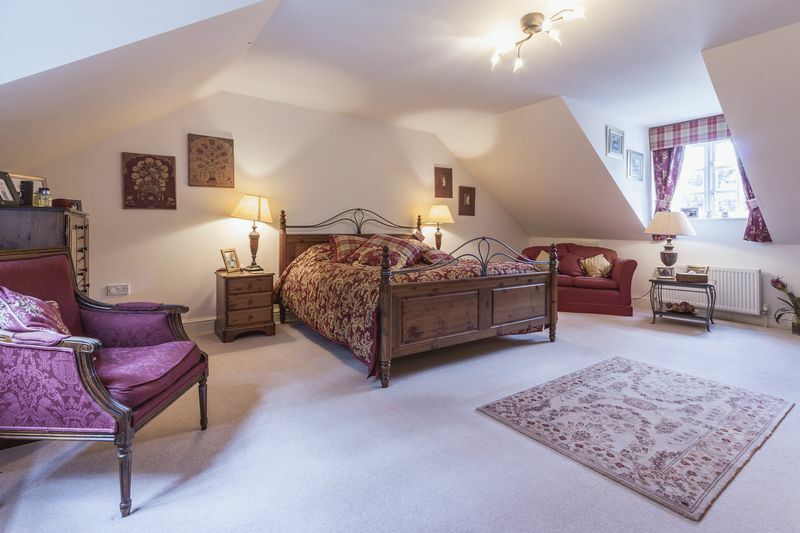 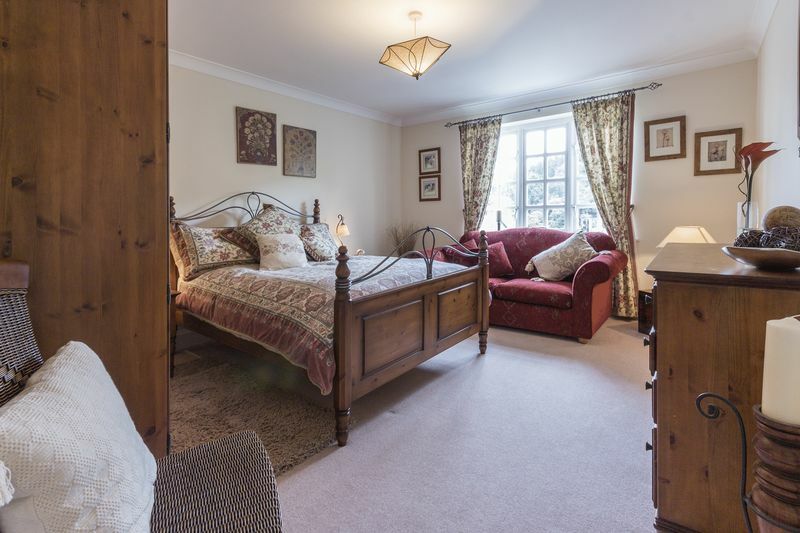 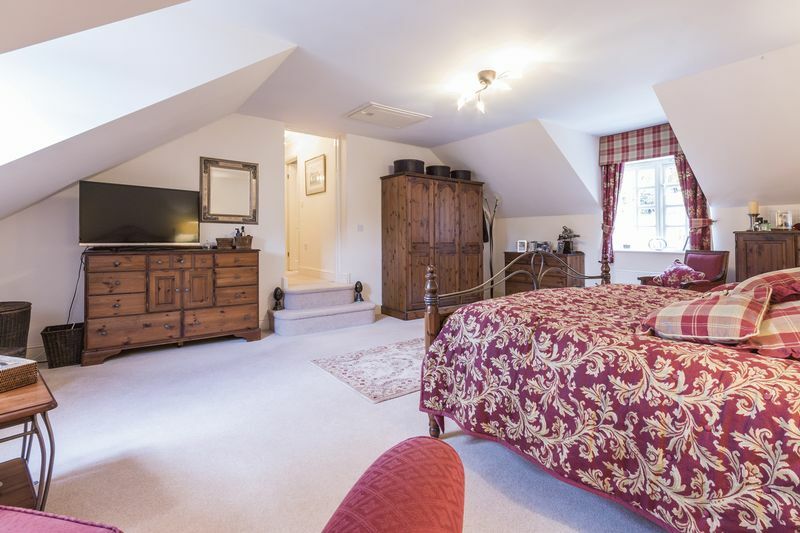 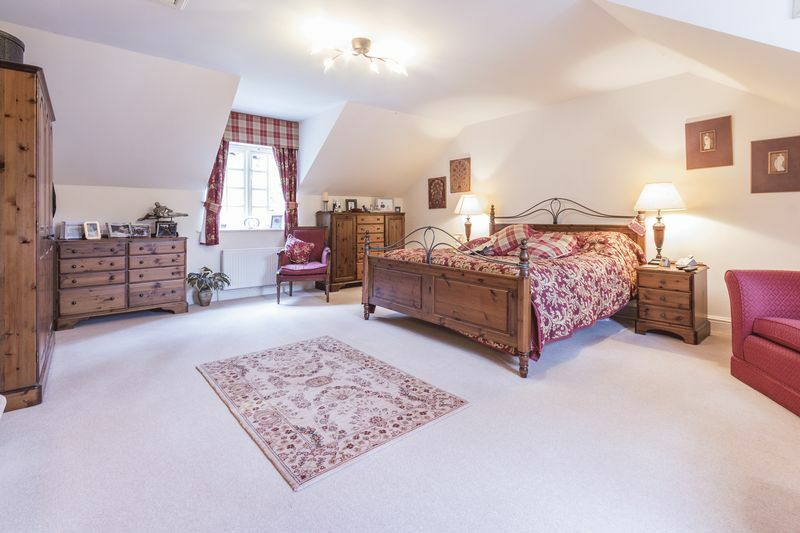 Upstairs there are five double bedrooms, all of which are generous sizes. 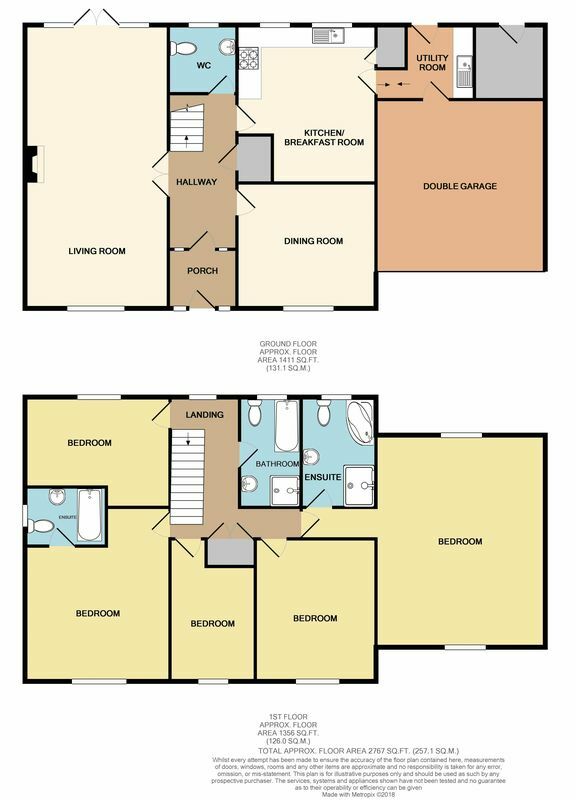 The master suite benefits from a large en suite complete with a corner bath, double shower, W.C. and hand basin. 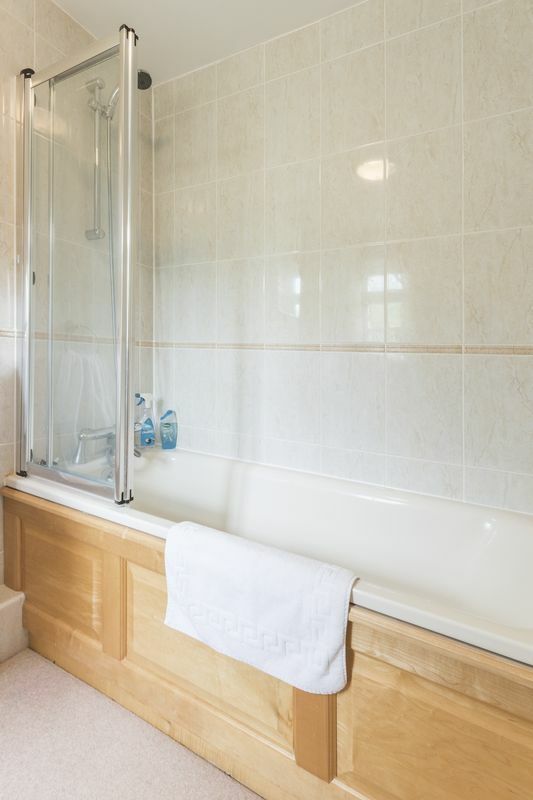 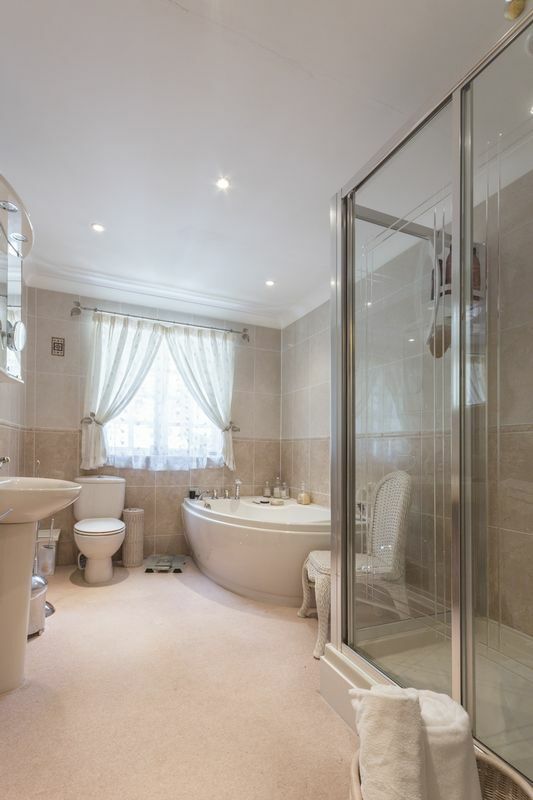 Bedroom two also has the luxury of an en suite and this en suite comprises of a bath, W/C and hand basin. 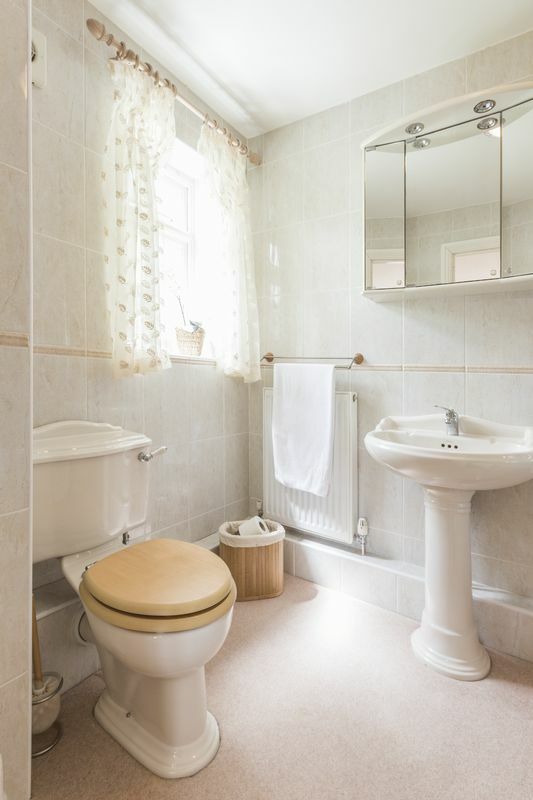 The family bathroom is modern complete with W.C., hand basin, bath and separate step in shower. 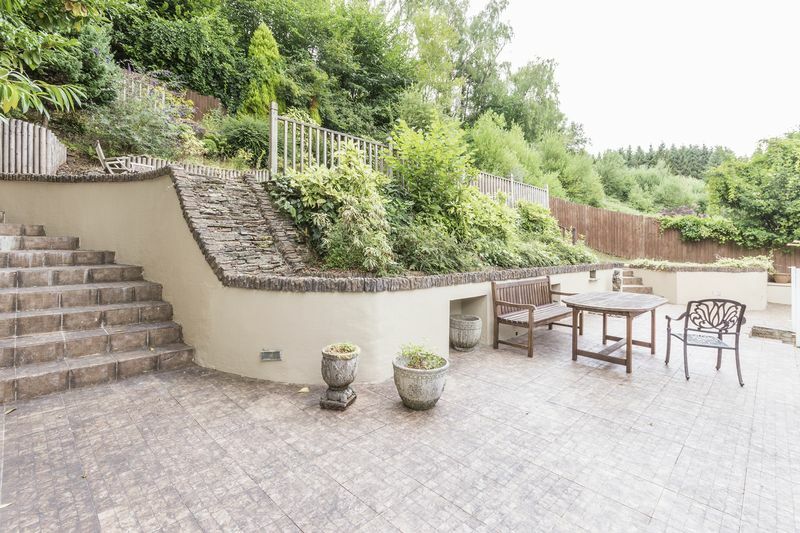 Outside the rear garden is tiered, the first two tiers are patio areas, ideal for sitting and dining furniture, steps lead up to a further tier which comprises of a large decked area, steps head up to the final level of the garden where there is a gravel path leading to an enclosed child's play area. 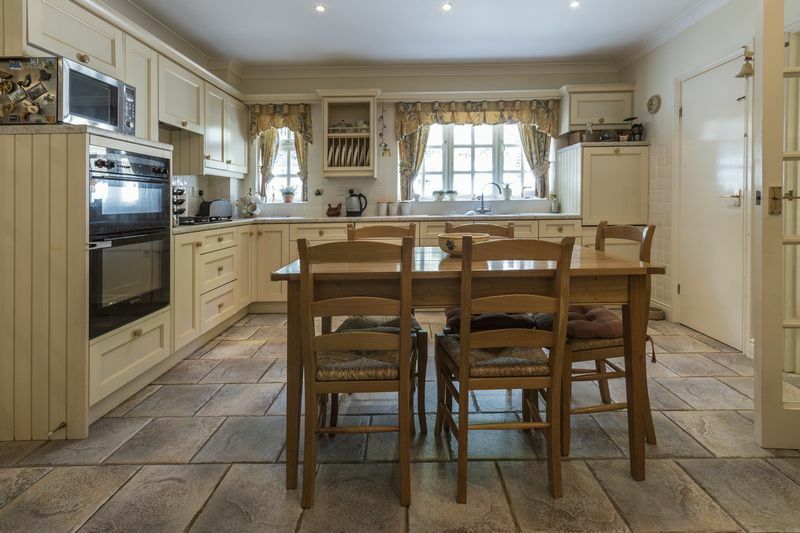 From here there are some lovely views across to the countryside and woods as well as looking down to the house. 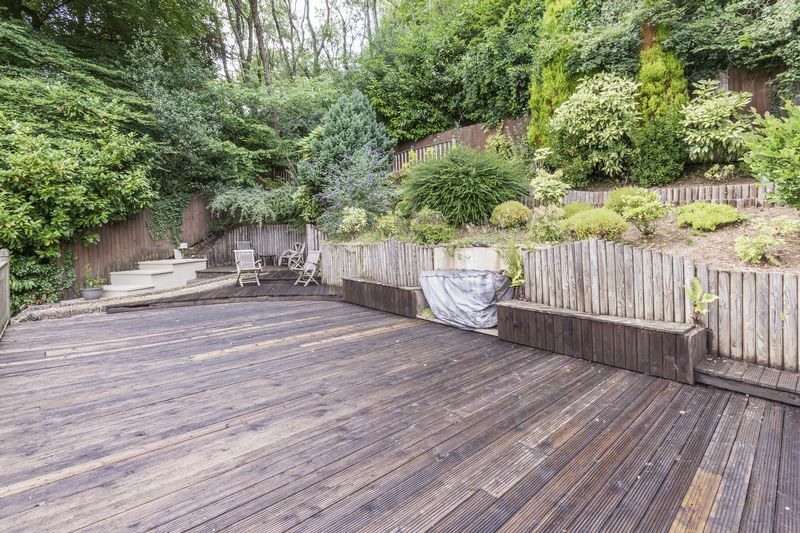 There is also a sloping lawn along with mature plants and flowers in the flower beds. 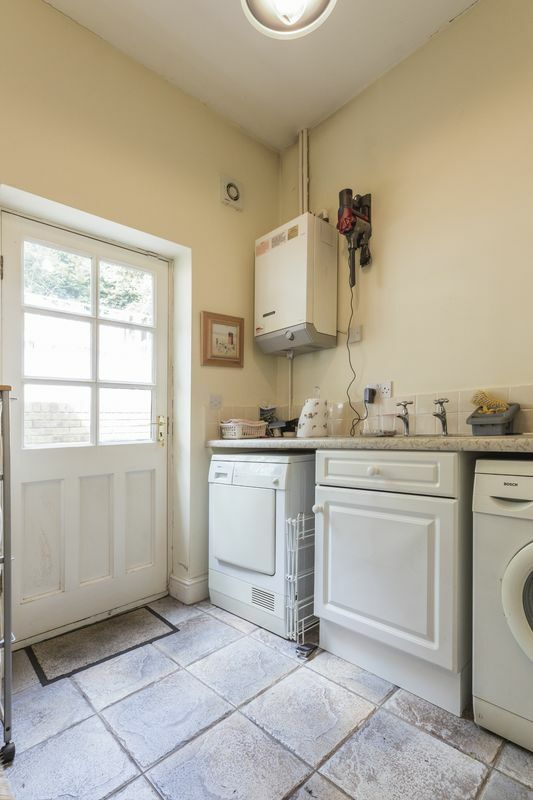 The property also benefits from an integral storage shed that is only accessed via the garden, perfect for storing garden equipment. 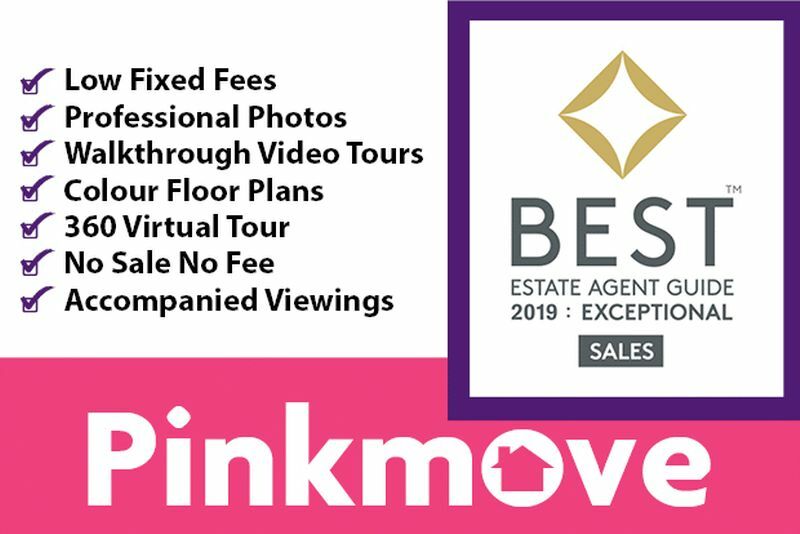 Viewing is highly recommended on this property, check out the virtual tour of this home and 3D scan http://bit.ly/2LmrNeB and call Pinkmove today to arrange a viewing! 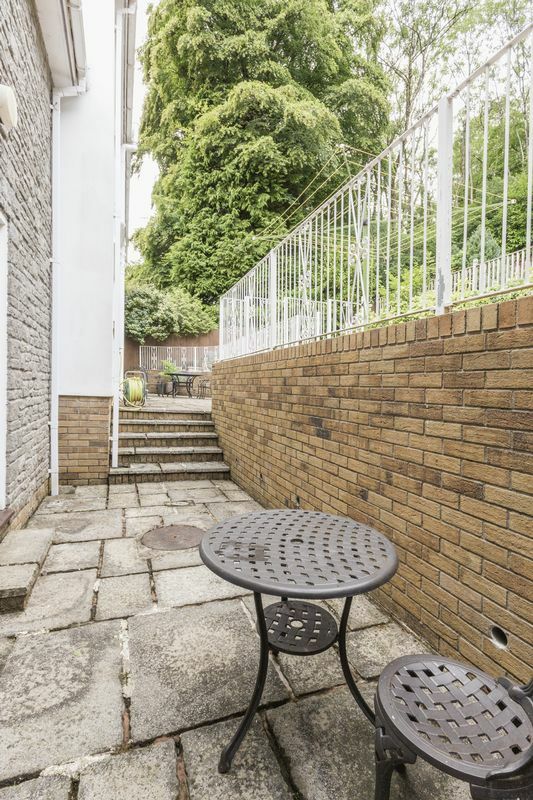 Outside the rear garden is tiered, the first two tiers are patio areas, ideal for sitting and dining furniture, steps lead up to a further tier which comprises of a large decked area, steps head up to the final level of the garden where there is a gravel path leading to an enclosed child's play area. 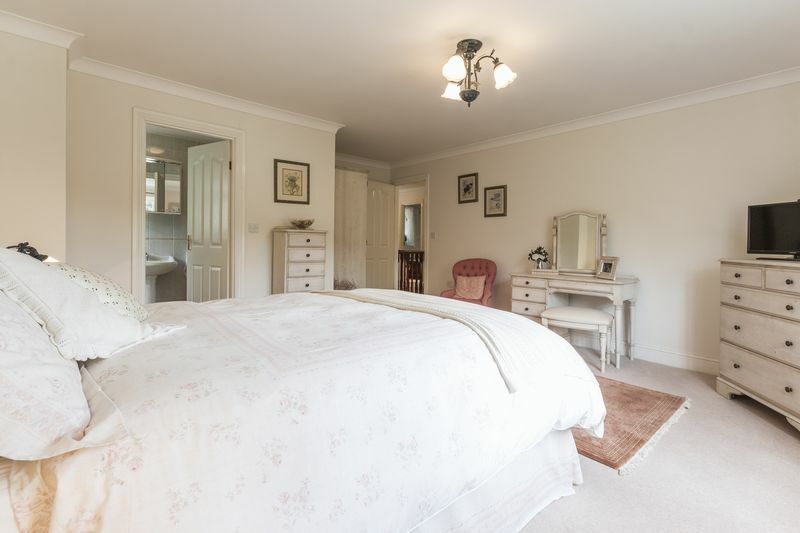 From here there are some lovely views across to the countryside and woods as well as looking down to the house. 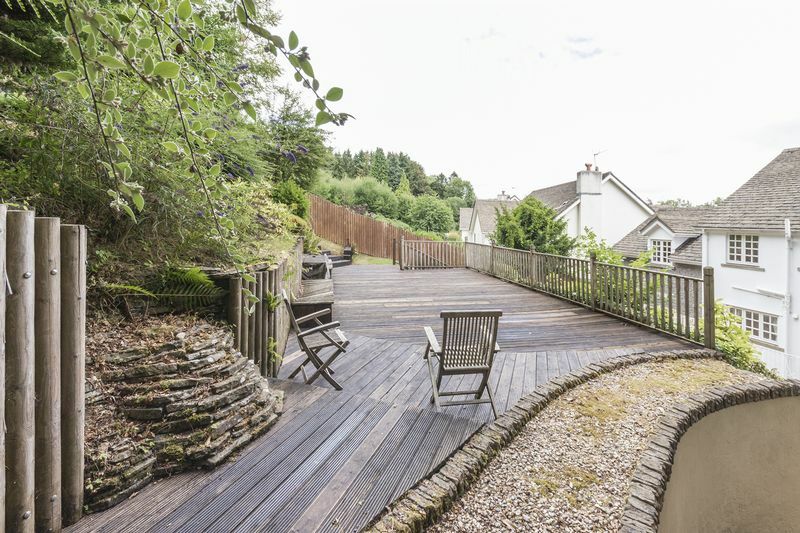 There is also a sloping lawn along with mature plants and flowers in the flower beds. 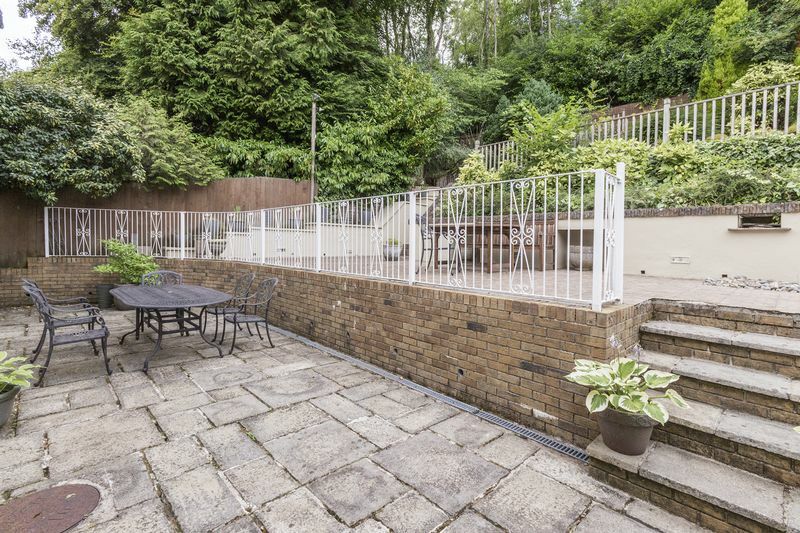 The property also benefits from an integral storage shed that is only accessed via the garden, perfect for storing garden equipment.